"A New Look in Residential Windows"
South Coast Glass's products are directed at the design and/quality conscious owner who is after personal service and a product that is not only unique, but also practical, good looking and complimentary to the overall design of not only the building, but also the surroundings. 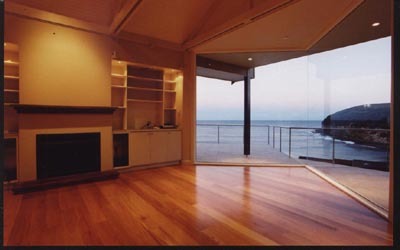 SCG fabricates and installs a wide array of architecturally designed, upmarket residential window and door suites, which have been devised and tested to comply with Australian Standard AS2047 (Window Ratings and Design Pressure).All products are custom made to clients specifications and or requirements. During fabrication, we give the utmost attention to sealing detail and use only high quality components and stainless-steel fastenings to give long-term durability and problem-free use, with all glass conforming to AS2208 (Safety Glazing - Materials in Buildings) and glazed with strict adherence to AS1288 (Glass in Buildings – Selection and Installation). Distinctive glazing work is our specialty. 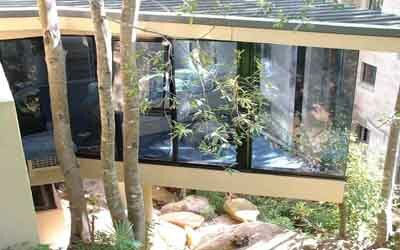 SCG have the expertise to carry out all types of solarium/conservatory glazing, glass roofs and unusual shaped windows using special aluminium framing suites to further enhance your window design and aid the aesthetic appeal of your project. We give our clients the flexibility in this area through the use of shaped glazing beads with either a slimline frame for an elegant appearance or a square bead with a bigger section to give that bulkier appearance that some designs demand. SCG carries out work over a wide area, from the central coast to the far south coast of NSW.